Way back last year good ol’ Peach Air were having a fantastic sale on many of their routes but one in particular caught my attention… Okinawa – Taipei. After a quick chat with Matt I booked 4 nights for January for the girls & I. At the time we didn’t think Matt’s work schedule would have allowed him to join us and a good thing we didn’t get him a ticket as we were right! Knowing that Matt wasn’t coming with us did not get me as excited as I should have been and to top it off we were leaving ON his birthday. I felt so bad, but went ahead with our trip since we had already purchased the tickets, with his blessing. 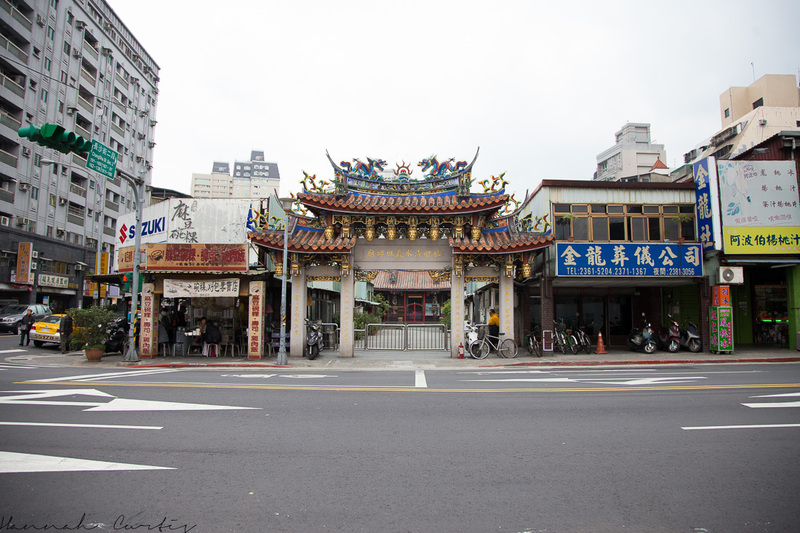 The flight is only 1.5 hours and we managed to get an early departure time which was perfect as it meant we were in Taipei, had our luggage dropped off at our AirBnB property by lunchtime giving us a good half a day to explore. 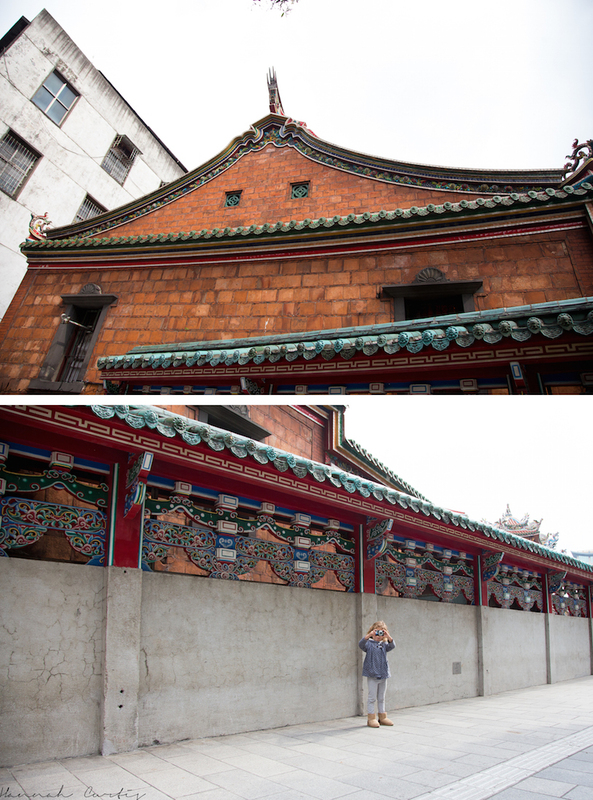 Our first stop was the beautiful Lungshan Temple which was rebuilt in 1919 and completed in 1924 and convieniantly located only 2 metro stops away from our apartment. 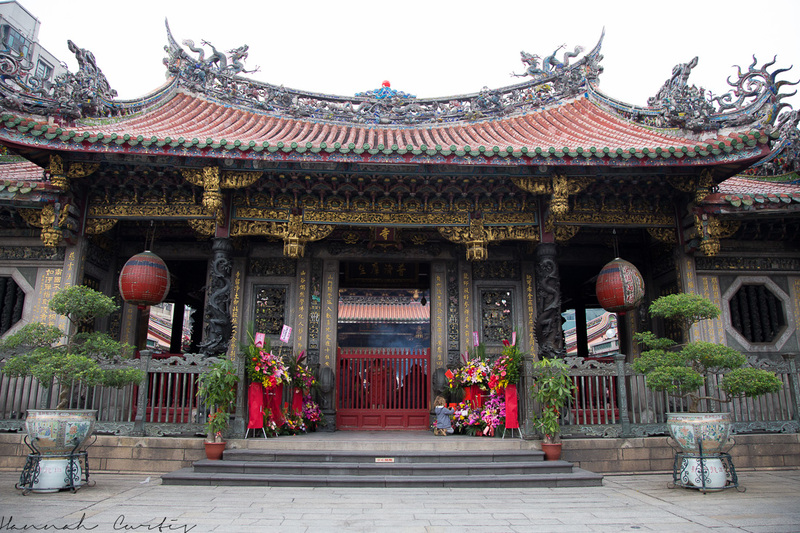 I had read mixed reviews about this Temple but I am so pleased I decided to go as it was really gorgeous. 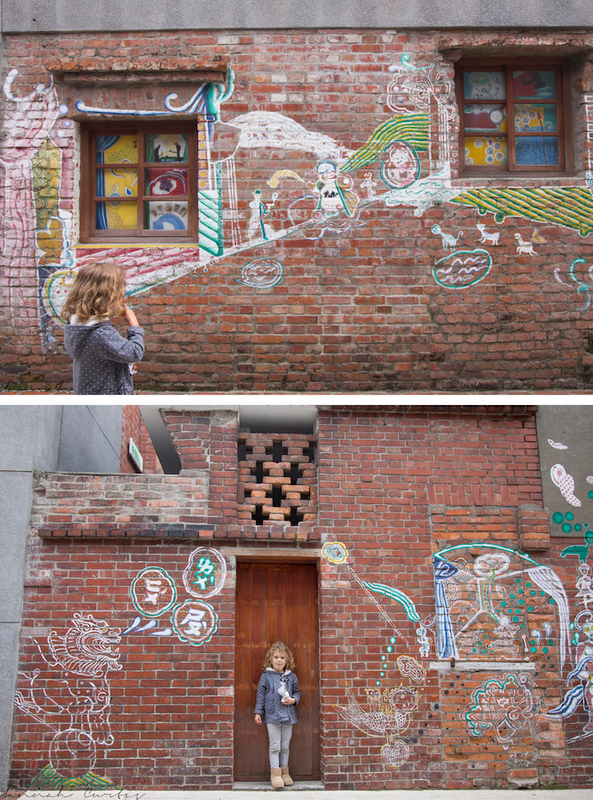 I particularly loved the brick building! 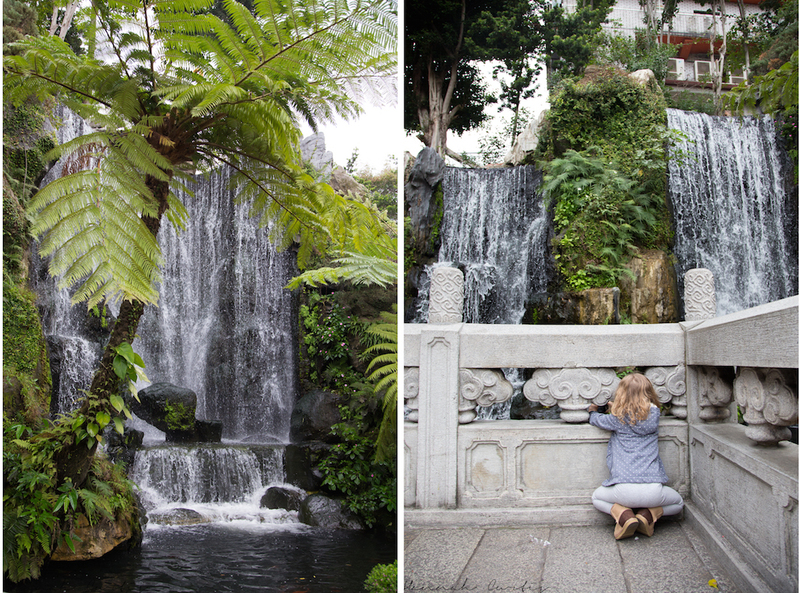 Eden got out her camera (which reminds me I need to share some of her photos from Hong Kong, Seoul & now Taipei!) and was loving getting many photos. 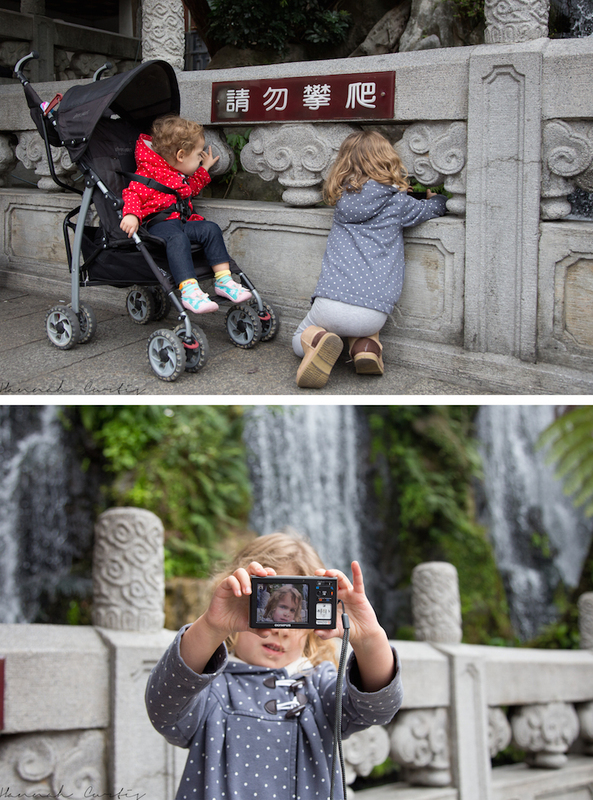 The girls watching/photographing the fish & Eden taking a selfie…I wonder who taught her that! As we walked around Eden asked if she could get some incense and pray; we have visited many temples and this is the first time she requested to do this and she did awesome! 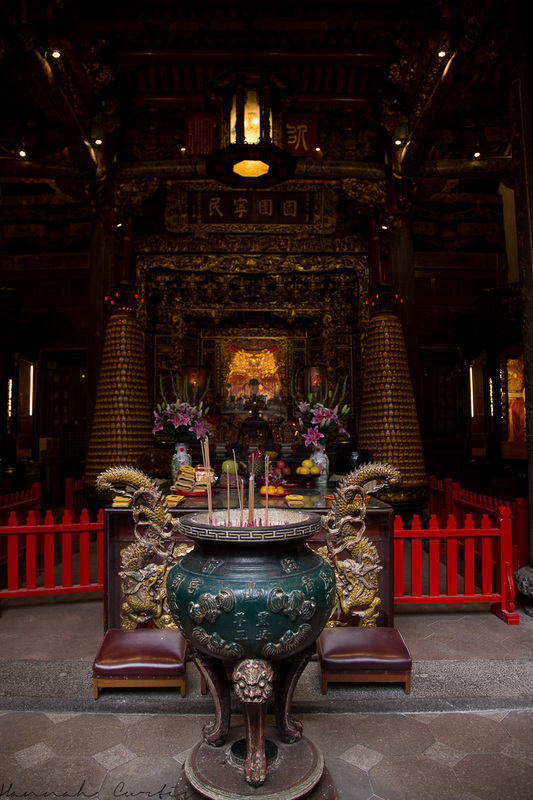 I gave her the money to buy the incense, which she did all by herself, she then lit the incense, prayed and dropped them into the heavily smoking black tub. 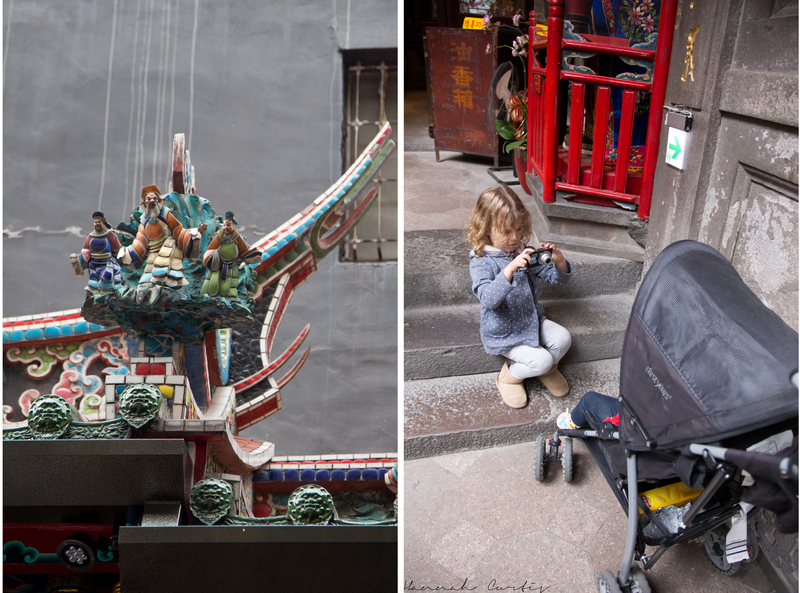 After spending a good amount of time at Lungshan Temple we walked up the ancient street of Bopiliao with a long history dating back to 1799, although the street has been revamped since then and only officially opened to the public in 2009. I loved the red brick as well as the arches but really wished I had crossed the road to get a different view of it! At this point I didnt have a map but knew there were a couple of other attractions I wanted to see in the area so we wandered back to the Lunghsan MRT station where I knew I had seen a tourist map to work out where our next destinations were. 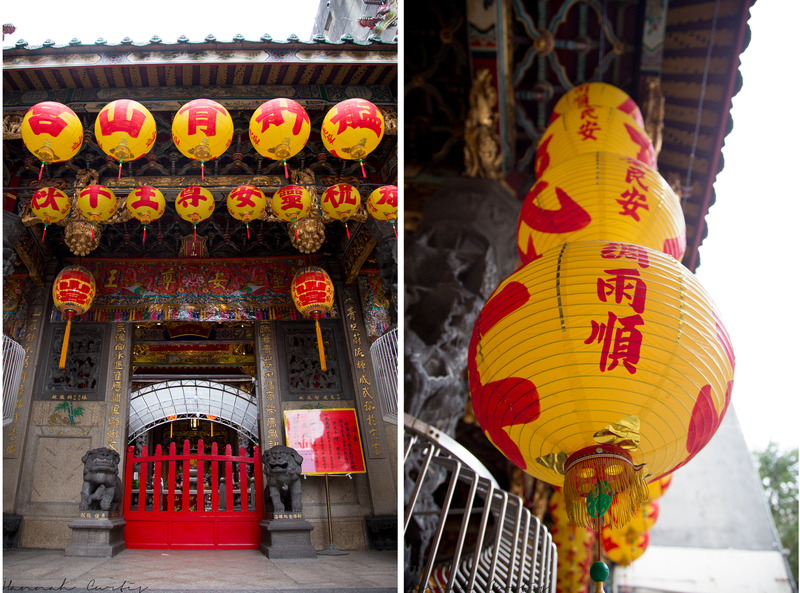 We walked a couple blocks to Qingshan Temple tucked between two old apartment buildings and while it was not as big or grand as other temples and so much quieter than the touristy Lungshan Temple it is most definitely worthy of a visit. 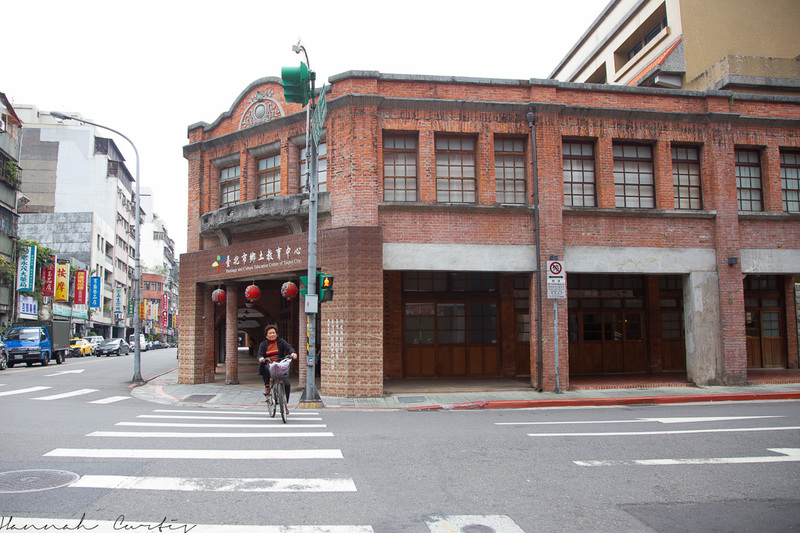 From here we walked to our final sight of the day; Ximen Red House. As we walked we came across people selling fresh fruit and vegetables as well as a couple of food vendors. I grabbed some apples and oranges for the girls, before getting Eden a rather sugary donut, which she thorouhgly enjoyed. 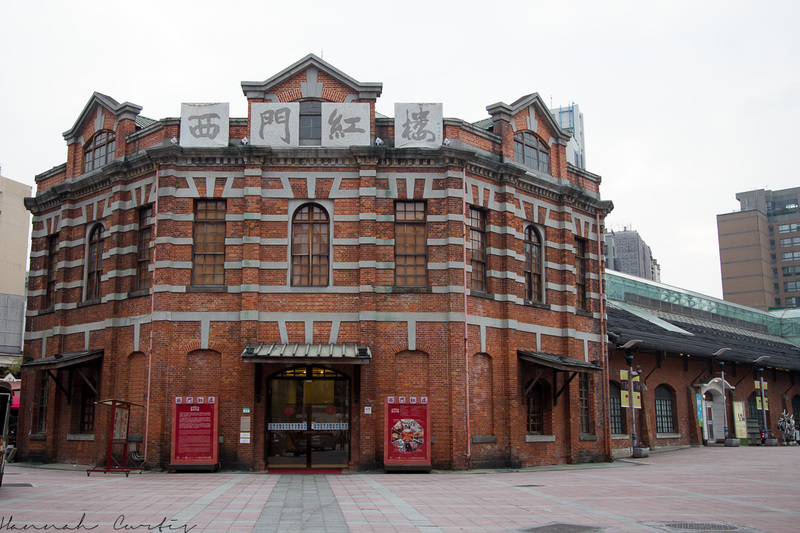 Located in bustling Ximending, Ximen Red house is over 100 years old, octagonal shaped and was the first public market in Taiwan. Nowadays it is full of shops; I only peeked in a few on the first (of two) floors and although I didn’t buy anything they did have some cute little stores selling some quirky items. The girls enjoyed a hot chocolate and some delicious banana-chocolate waffles from the cafe inside and it was great to put our feet up and get a break from the chilly outside temperatures. I wished we had visited this area later in the day/over the weekend where I hear it comes to life with street performers. 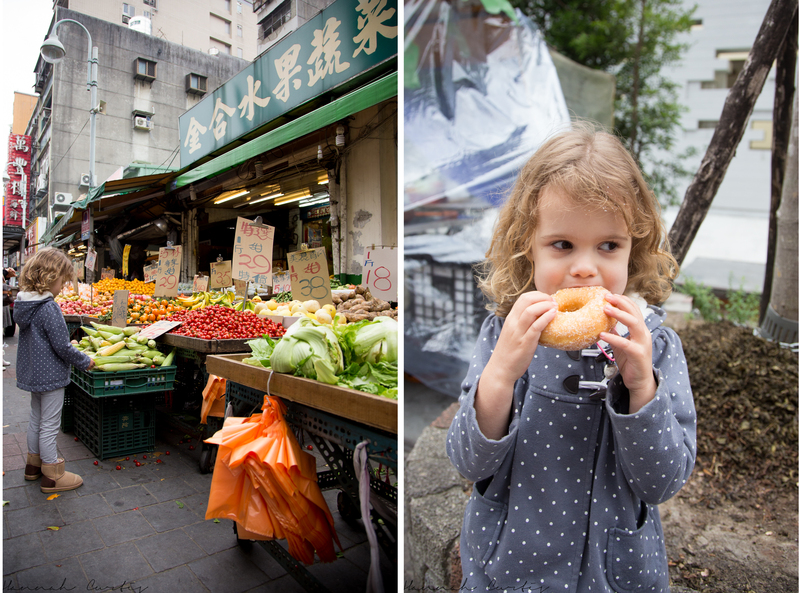 the fresh fruit & veg stall we came across, Eden enjoyed her sugar donut…a lot! Since we were in the area we did have a quick wander around Ximending where there were loads of stalls and street vendors starting to set up, again, I bet this area is a lot of fun later in the day and in hindsight we probably should have hung around here to eat some delicious street food but instead we headed back to the apartment and grabbed some food to go from the food court located next door to the apartment. Clio was extremely over tired after an early start, no nap (other than a little bit on the stroller) and a late night. I also wasn’t quite sure how she would do being out of her bedroom where she is a great sleeper. Clio’s tears soon stopped and she was snuggled up next to Eden who continued to whisper calming words to her little sister…then of course the giggles started, which I took as my cue to head to bed also! Fun, as always. I see folks are seeking your travel advise. Perhaps you’ll have to set up an agency. I’d love to see a few of Eden’s pictures. Loved the picture of the girls sleeping___and the story. Yes i will sort edens photos they are pretry funny! Its been a lot of fun watching her with a camera and the more she uses it the more she thinks about how to take a picture…like where to stand/different angles etc. the girls are so sweet together! Clio is very blessed to have eden as her older sister thats for sure! Looks like it was an amazing time! You are my hero for traveling with th girls 🙂 i love Edens Camera skills! This is why I am not ready to leave!! Do you think you would ever try get back overseas? I would love to go to Germany or Italy next!! If they will send us back I will for sure! So much to still see!! Thank you! I agree with you, its a lot of fun traveling with children because I feel like they make me look at things from an entirely different perspective! Thank you! Eden really enjoys taking photographs I try to encourage it as much as i can/when I remember too! Great photos by you, I’d love to see Eden’s shots. Looks like you all had a great time. I will totally share her photos next link-up! Lol @ Eden taking a selfie! 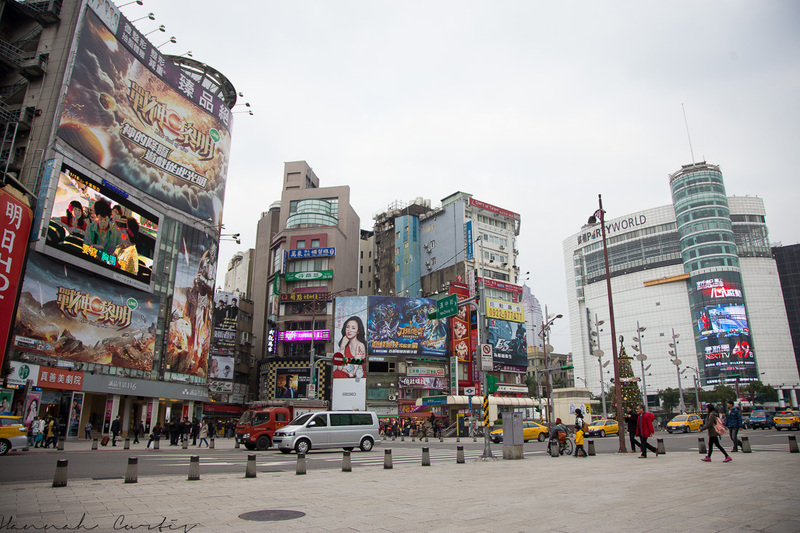 The last shot of Ximending reminds me a bit of Shibuya. And I seldom come across Taiwan posts where the only food photo involves a donut? lol…. LOL if Matt were with me I am sure there would have been a lot more food photos! I haven’t been to Shibuya…yet! I definitely think I’m the lucky one! !